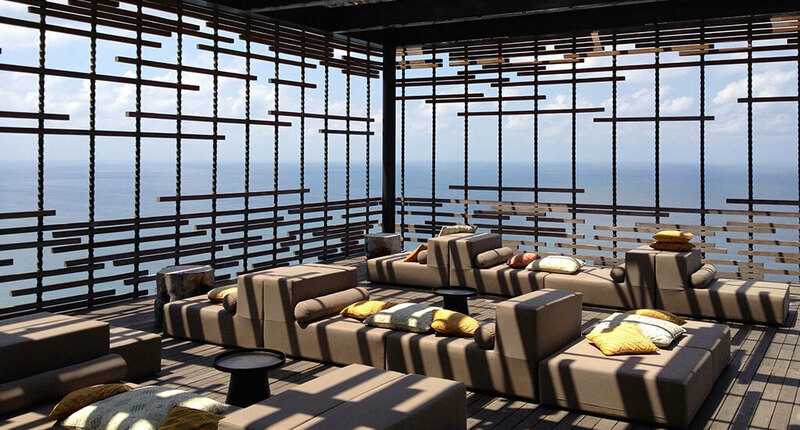 The Alila Villas Uluwatu provide a quiet paradise to enjoy the beauty of nature and modern architecture. 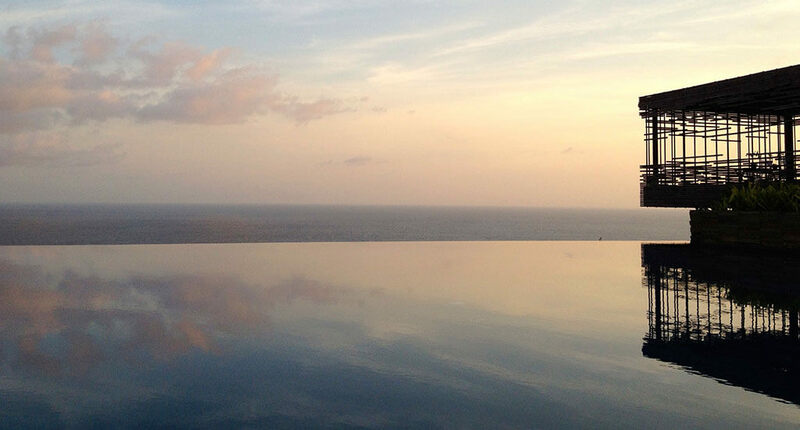 The infinity pool on top of the cliff is just one of the impressive highlights of this resort. The minimalistic architecture is based on dark wood, white walls and the intense green of tropical plants. 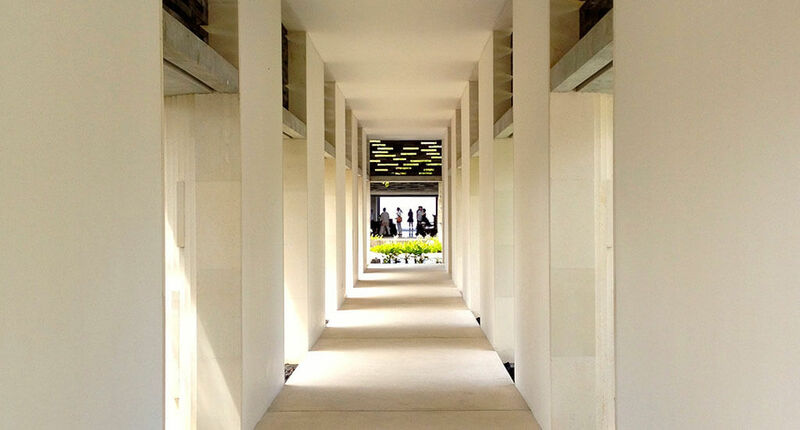 The open architecture of the entrance area offers an unique panoramic view overlooking the Indian Ocean. 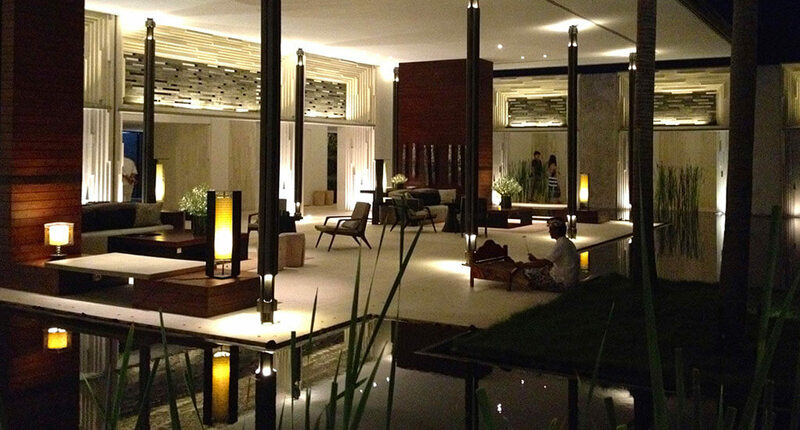 The design follows an environmentally sustainable framework with Balinese accents out of wood, water, lava stone, bamboo, and rattan. Located on a clifftop plateau along the Southern coast on Bukit Peninsula, the resort is only 30 minutes from the airport away. Every one-bedroom villa provides an exclusive open design with private pool, cabana, open bathroom and offer Wifi, air condition, gourmet bar, coffee-/tea making facilities, hair dryer, bath amenities, in-room safe, butler service, and 24-hour room service. While you find different international dishes in one restaurant, you find authentic Indonesian dishes in the The Warung. 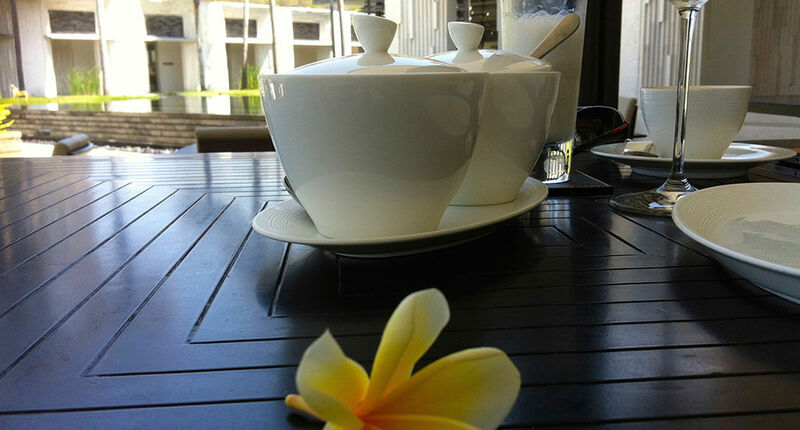 This covers Megibung, a traditional Balinese dining experience. People share a meal together off one plate. Be careful with the sambal selection. Some of them are really dangerous. Moreover considering the fact that most people stay in their private villa with pool, the infinity pool is less crowded. Even less people you will find on the private beach area because you need to walk more than 200 stairs down to the beach. 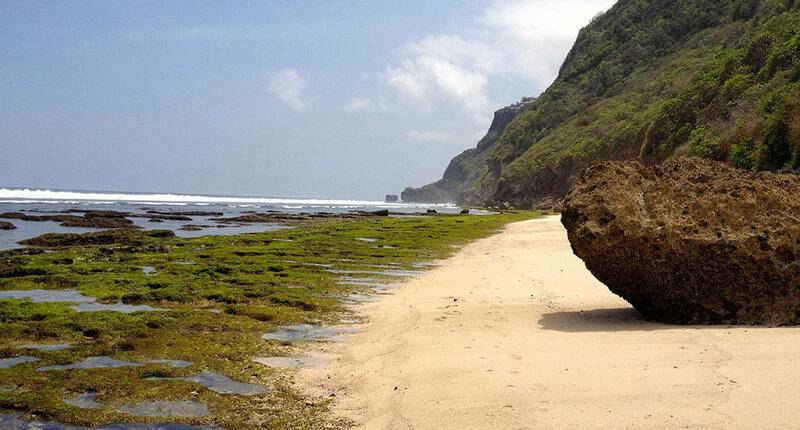 The resort was built on a cliff but in the Balinese heat most people avoid to move too much. For this reason the private dream beach is a high recommendation to everyone who wants to experience real Robinson Crusoe feeling. The beach is sandy and there are some huge stones to give you shadow. Moreover you should take a pair of watershoes with you because there are stones, plants and crabs in the clear blue shallow water. The location on clifftop is a very scenic setting for weddings, honeymoon or very romantic holidays. You shouldn’t come here alone. It’s just the perfect surrounding for couples. On top of all the culinary pleasure, the dream beach and privacy you can find here great spa retreatments or courses in serial yoga above the cliff edge. For sure, this is one of those locations you will never forget in live. 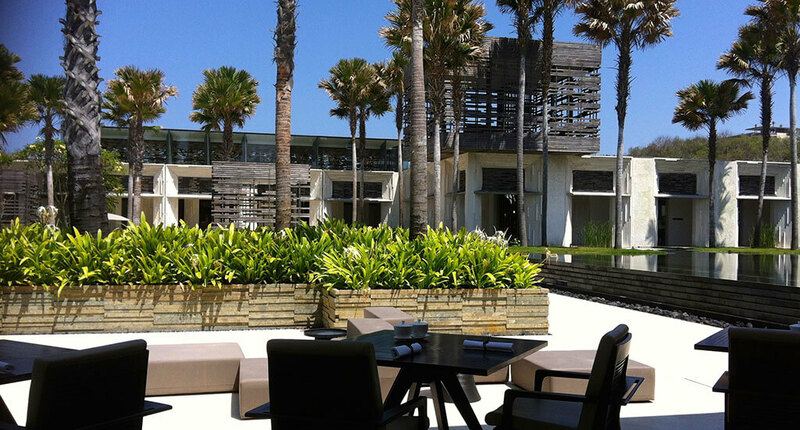 Besides the Alila Villas Uluwatu, Alila has also four other resorts in Bali: Alila Seminyak, Alila Manggis, Alila Ubud, and Alila Villas Soori.